The need to hire an interim professional can arise from multiple scenarios. Whether the need comes from increased demand for your product or services, from medical leaves or retirements, or from the fact that no one on your staff has the skill sets you need for a specialized project, it helps to lay out your goals and figure out what you need in a contract expert before you set out to find the right candidate. Do you know what key metrics and objectives the interim specialist needs to meet? What challenges will they encounter during the term of their position? What skills will they need to bring to the table? These are just a few of the questions that should be addressed before the search for an interim hire begins. Who Constitutes Your Ideal Candidate? Those whom we place as interim professionals are generally experienced and results-oriented. They are attracted by the challenge of short-term assignments and may welcome the opportunity to work in a new and interesting industry or in a new area of the country for a short period of time. Before starting the search process, identify what performance expectations you have and the core skills and personal characteristics you want from your interim professional. If you are hiring for a position that requires specific industry experience, make sure you know what experiences you are looking for in potential candidates. If you are hiring for a corporate-style position, industry may be a secondary concern. Regardless of why they are looking for new work, interim experts are people who are ready to enter a new position and quickly assume the required role. The experience and capability they can bring to your business will be an asset. As unemployment continues to decline, the best interim professionals often have multiple offers on the table. They may also take offers quicker due to the shorter term of their position, rather than taking a longer time to ponder a full-time job offer. Have a contract ready for the perfect candidate as soon as possible and do not delay recruitment decisions for unnecessary deliberations. Interim professionals need to have clear goals and performance expectations, all of which should be defined in their contracts. They need to understand the limits of the position and the authority they have within your contract with them. Your interim professionals will be most successful if permanent staff have a clear understanding of the role they will fill. 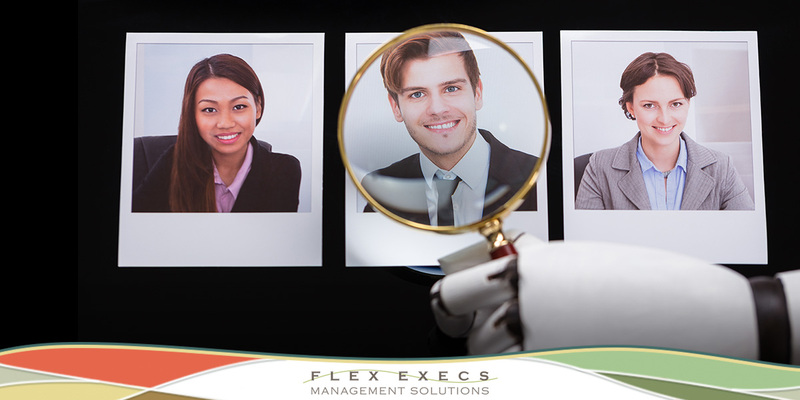 When you contact Flex Execs Management Solutions to hire an interim professional, we know that you want an individual who can help you get the results you need quickly. In short, they need to be able to “hit the ground running.” Flex Execs will do the vetting so the interim professional is ready to work. We also know that any individual hired on an interim basis will need good communication skills and a management style that allows him or her to build productive relationships quickly. If the interim hire will be bringing a new skill set to an organization, we look for the individual’s ability to be a strategic thinker. 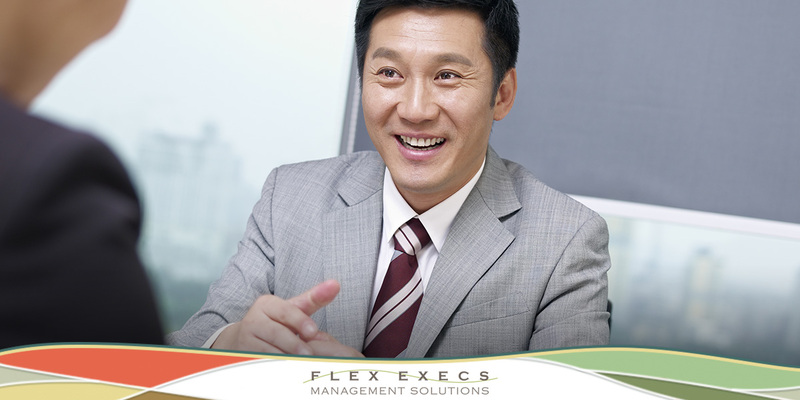 When finding someone to fill an interim role, call Flex Execs Management Solutions. The idea that it is a human being who first takes a look at the resume of a potential job candidate is on the verge of becoming outdated. Today, research shows that it is artificial intelligence in the form of a software program that can first review a resume. This form of technology will search the resume for key words to see if the candidate has used words that match with the employer’s desired skill sets. Unfortunately, you may be losing great talent! Keywords are good, but there are different terms that candidates can use which will be missed by the system. Can you afford to let top talent slip away due to words alone. AI has the potential to become a real time-saver for employers, but it is far from perfect. Artificial intelligence cannot replace human intelligence. Figures currently show that as many as 65 percent of people begin looking for a new job after only three months with an employer. 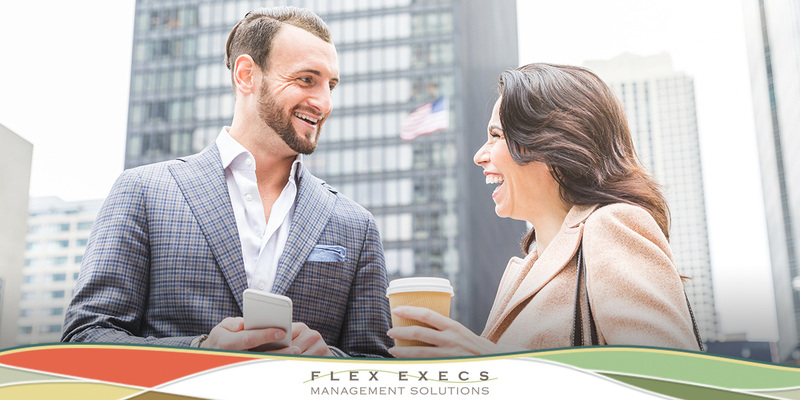 If you’re looking for help with full-time recruitment solutions, Flex Execs Management Solutions has cost-effective, on-demand solutions to meet your needs. What does the rise of artificial intelligence mean for recruiters and hiring managers looking to make better decisions? Good recruiters help develop onboarding processes that yield positive results and avoid high turnover and new-hire discontent. In a well-designed interview, a skilled recruiter wants to gain insight and detail about the thought processes of potential candidates. Such processes will draw out behaviors and characteristics that point toward building a successful employment match. This can be achieved by asking a mix of open-ended and technical questions. Skilled recruiters decide in advance the behavioral characteristics they want to see in a candidate. Then they develop questions that will draw out the answers they need. What the recruiter will want to avoid are questions that allow only for short answers. If a majority of questions ask for only “yes” or “no” responses, insights into a candidate’s thought processes are limited; also limited are opportunities for interpersonal connection. These types of answers that don’t require as deep thinking may eventually be addressed by artificial intelligence solutions in some capacity. When Flex Execs’ team members are called upon to work with clients, we work to understand the technical skills and the intangible, interpersonal skills successful candidates will need. Andrew Carnegie was one of the drivers of the industrialization of American industry. Over a hundred years ago, he said, “You cannot push anyone up the ladder unless he is willing to climb.” Today his statement is still true. If you want employees who will ultimately advance through your organization, develop questions based upon events that have happened within your organization. Did you face a crisis because of supply issues? Ask a candidate to describe the steps he or she took to resolve a similar issue. Or, describe an issue your organization faced and ask candidates how they would have handled it. 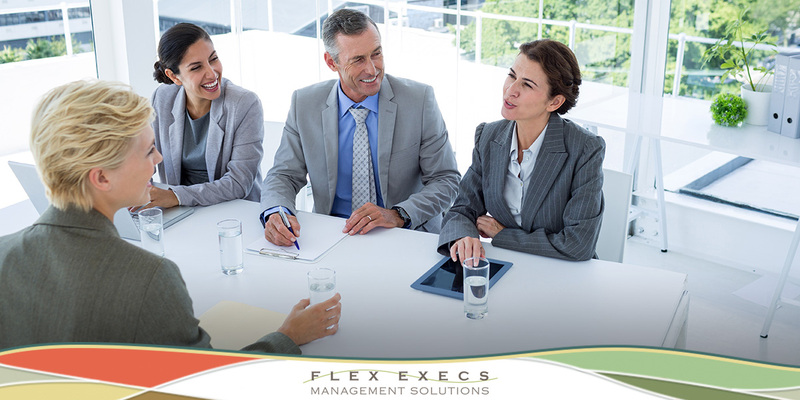 Flex Execs is here to handle your questions about hiring issues. Looking for a customized staffing solution that addresses your team’s greatest needs? Call us today. A growing economy and robust employment are making qualified job candidates increasingly scarce. In short, top talent is now at a premium! It is now more important than ever to streamline hiring and move quickly to put well-qualified applicants on your payroll. What can you do as a hiring manager to win the battle for the right candidates? When you need to hire new staff, you want to get interest and follow-up action from qualified applicants. Start by giving a brief overview of your company and highlight what you have to offer such as excellent benefits, paid time off, work-life balance or career growth opportunities. Help candidates identify what makes working for your company different from anyone else. Steps to apply should be clear and concise. When you have reviewed resumes and credentials and have narrowed your list of interview candidates, decide how to best determine an individual candidate’s strengths. If your new hire will meet regularly with outside clients, ask each candidate to prepare a short presentation for the screening panel. This will allow you to spot strengths (or weaknesses) that could impact your bottom line. Extra time spent in a skill demonstration gives the members of the interview team additional input into how the candidate would fit into the existing company culture. This is important because every hire –whether temporary or permanent – impacts the group where they are placed. Since time is of the essence in a tight market, schedule interviews with candidates as soon as possible since your competitors may have a faster process than you do. Determine who is absolutely necessary to the interview process, and do not include others since that can lengthen the process. Who will actually make the final decision? Make certain this is clear in case there is disagreement about a candidate. At some point before the interview, have everyone determine what experience and culture fit is critical that the candidate has so everyone is on the same page during the interview. Have a rating scale. Have the candidate meet everyone in one day to minimize the time the candidate has to take away from other priorities. Designate someone to be responsible for determining what type of offer the candidate would want, so when the time comes to offer, you make one offer that is hopefully accepted. Have all interviewers confer right after the interview to assess the candidate and determine immediately if you want to make an offer or not. 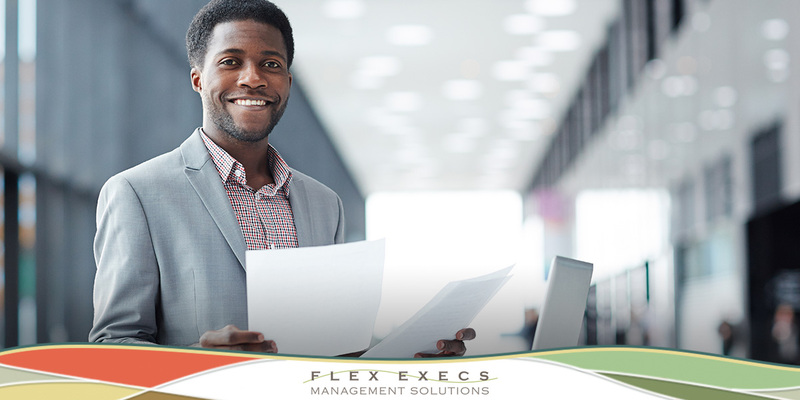 When talent is needed quickly on an interim basis, Flex Execs Management Solutions is here to help. Our recruiting solutions and expert staff will work with you to meet your hiring goals. Contact us today to get started!